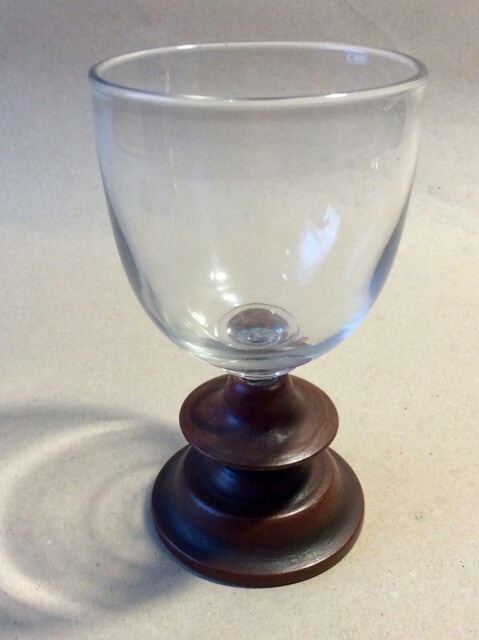 Antique glass goblet with painted treen replacement foot. Description: Mid 19th century glass rummer or goblet. 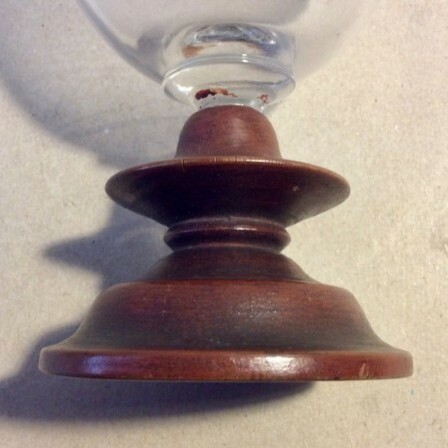 The original glass damaged and repaired with turned wood replacement foot. 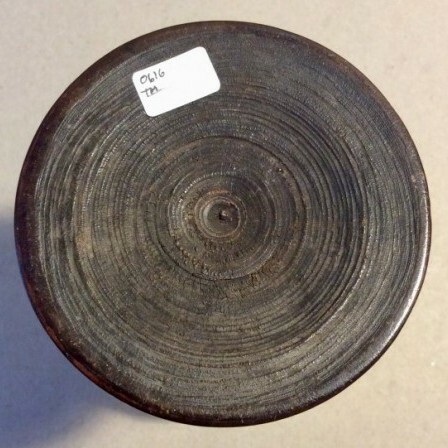 The treen repair turned with a blade knop and with a red paint finish. The wear to the base of the foot and the type of turning marks indicates the repair to be contemporary (1850).